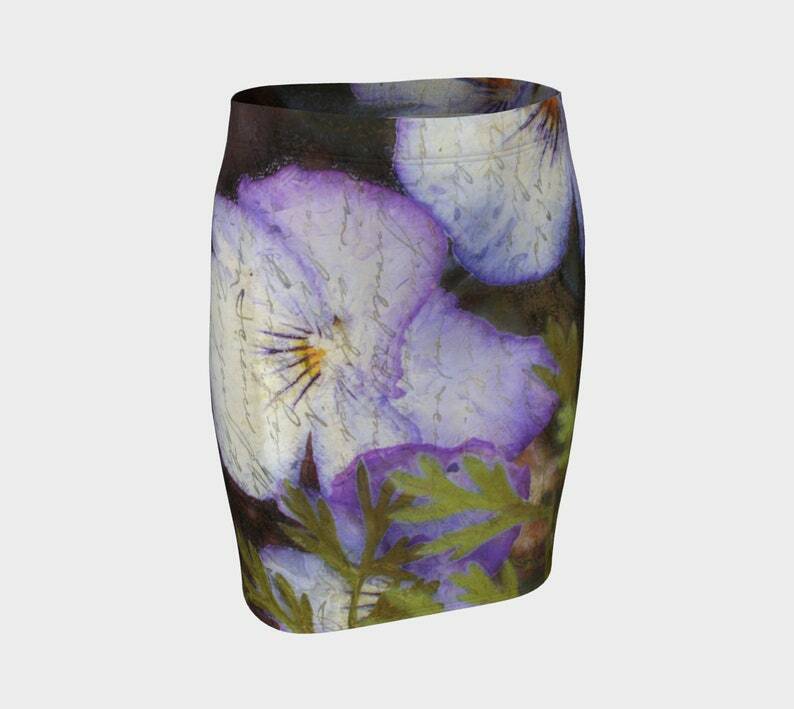 Feminine body hugging fitted pencil skirt with floral design "Pretty Vintage Pansies" by Claire Bull. Can be paired with my sleeveless top for the office, or dressed up for a night out! Add a light Kimono jacket top and coordinate it all. These Bodycon (fitted) skirts are printed one at a time on a specialty stretch fine gauge knit fabric Polyester Spandex. The fabric smooths out over curves and hugs your body. The fabric wicks away moisture to help keep you cool and comfortable. This is a custom made item with my artwork, created when you order it. Once the order is placed, manufacturing begins and each item is made to order. Images are as accurate as possible but monitors vary. Canadian made with attention to detail and environmentally friendly products and methods of creation. Art meets Fashion through creativity and passion.